They're back!! In stock now ready for Christmas! 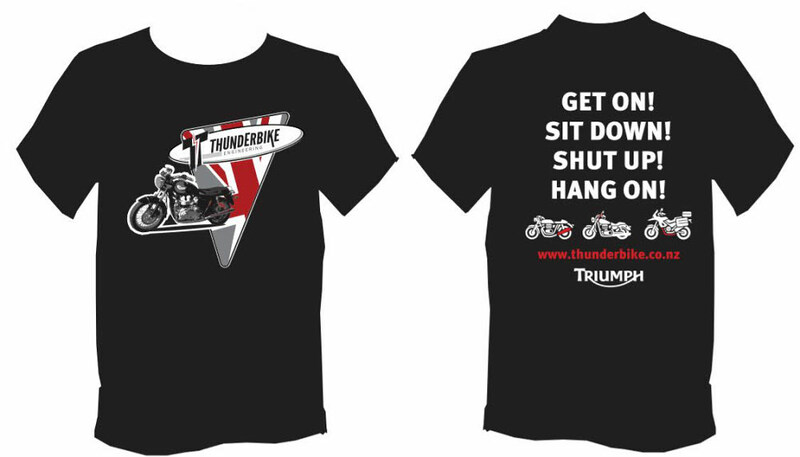 Due to popular demand we have created an updated version of our Thunderbike T shirt with our logo on the front and the Get on! Sit down! Shut up! Hang on! on the back! Available in any colour you like as long as it's black. 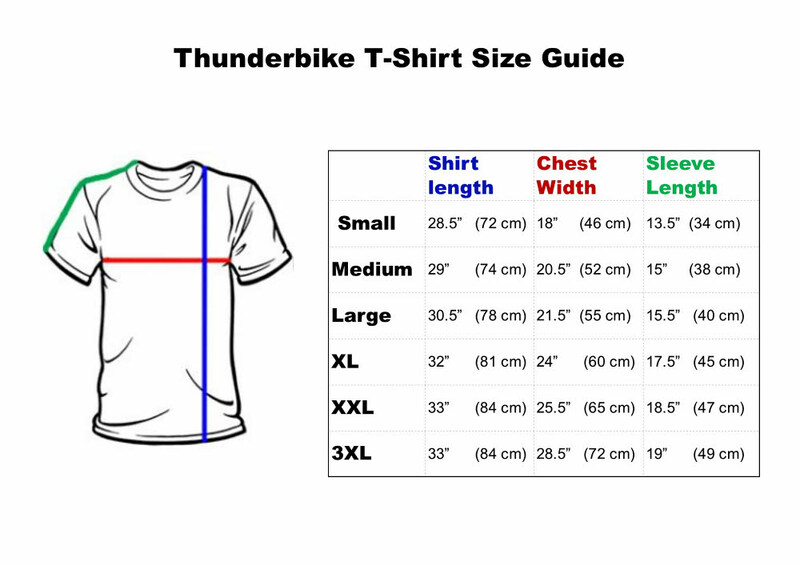 Order now and be the first to get your hands on them.